As someone who does a lot of interstate driving, when looking for a car I wanted something economical, safe and spacious with enough boot space for luggage. I also wanted a car that was good around town too, as I have a 40 minute commute in and out of town on a daily basis. Taking all this into consideration, I found the Ford Mondeo Titanium TDCi. The first thing that attracted me to this car was the fact it was manufactured in Europe. There is something so satisfying about that solid thud you get when closing the door of a quality European built car! Its exterior styling is classic and refined. Its aggressive front grill and headlamp cluster with LED daytime running lights looks suitably intimidating when viewed in a rear view mirror. Its sloped back means it has a huge hatch back, revealing a cavernous boot which can accommodate 3 large suitcases plus carryon luggage. 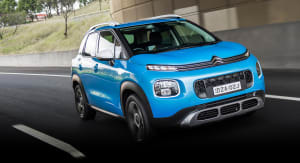 Other features include 18 inch alloy wheels, a sports body kit, front and rear parking sensors, electric automatic folding heated mirrors with integrated side repeaters and puddle lamps and cornering headlamps that turn when you turn the steering wheel. The classic European styling is continued inside with soft touch plastic and faux aluminium inserts on the dash board, leather and alcantera sports seats with adjustable lumbar support and round air vents. The front seats also have five stage heating, perfect for those cold winter mornings! The seats are extremely comfortable, and hold you nicely as you take corners in the hills. Something I would’ve liked is electrically adjustable seats with memory settings, however the electric raise/lower setting on the driver’s seat does come in handy. 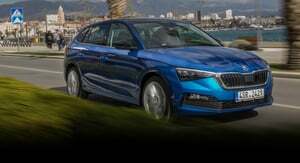 Safety is not an issue in the car either, with Electronic Stability Control and seven airbags including Drivers Knee Airbag, as well as a host of technologies. The Ford MyKey keyless entry and push button start is fantastic when you’ve got your hands full. Other convenient features include automatic headlamps and rain sensing wipers plus automatic high beam assist which is perfect for highway driving. My partner and I are both very different when it comes to the temperature we like the cabin, so the dual zone automatic climate control is brilliant. Fords convers+ human interface machine is clear and easy to read, and warns and informs you about everything (and I mean everything!) via the message centre on the screen in the instrument cluster. The same screen displays all the entertainment information for the Radio, CD Player, Bluetooth Music Streaming and iPod Connectivity, which can all be accessed via steering wheel controls. The 8 Speaker Sony sound system really packs some punch. Voice Control means you don’t have to ever take your hands off the steering wheel. You can dial a number or stored contact, change songs and play specific playlists on your iPod and even adjust the temperature settings and fan speed of the climate control system! 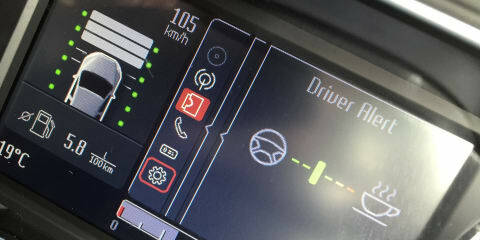 For long country driving, the Mondeos’ Adaptive Cruise Control is fantastic. Simply set the speed and the distance to maintain from the vehicle in front and the car does the rest. A radar and camera continuously scan the road ahead. When the traffic in front slows down, so does the car. When vehicle speed slows to 25kmph the system disengages and issues an alert accompanied by a chime, instructing the driver to take over. The same camera monitors lane markings on the road and will alert the driver via an animation in the centre screen and vibrations in the steering wheel if the vehicle is drifting out of its lane, providing the indicator is not being used. Also useful on highways and freeways is BLIS, Fords Blind Spot Information System. When there is a vehicle in your blind spot an amber warning light in the respective mirror appears, and flashes if the indicator is activated. This car even tells you when coffee is required! The system detects driver fatigue and senses that the driver is becoming drowsy. It issues a two stage alert, the first suggesting a break, and the second insisting a break. Once again, invaluable for country and highway driving! In city traffic it is easy to become distracted whilst driving. Forward Alert detects when the gap between the Mondeo and the vehicle in front is becoming critical and issues an alert to the driver. 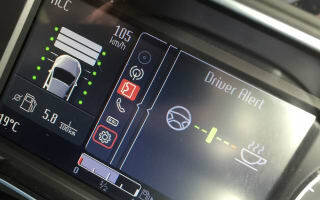 At the same time, the system begins braking automatically, applying 30% of full braking power and precharges the brakes, meaning as soon as you touch the footbrake full braking is initiated and the hazard lights are activated. 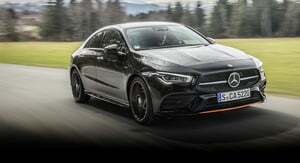 The car feels well powered by the two-litre turbo diesel engine delivering 118kw and 208nm of torque, accompanied by the six speed Power Shift automatic dual clutch gear box. It is a bit sluggish taking off at the lights but as soon as you’re going the car just doesn’t want to stop. 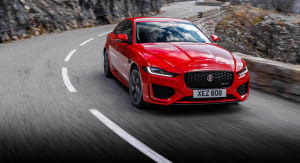 It is at its best at speeds of over 80kmph where it just glides along the road whilst still knowing there is plenty of power available instantly for over taking. Cabin noise is minimal, with only a slight drumming in the back seats caused by the extensive hatch space. The suspension is a bit firm around town, but fantastic when driving in the hills. Fuel usage is superb! I average 6.8-7.1 litres per 100/kms around town, and 5.2-6.0 litres per 100kms on the open road. A tank of diesel will generally deliver 1000kms. Servicing is required every 12 months or 15,000kms whichever comes first. Ford also offers capped price servicing for the life of the vehicle with a standard service costing $345. 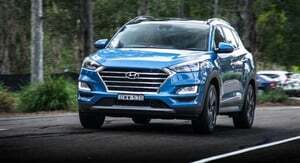 The major services are at 60,000 and 120,000kms, and cost $785. Other servicing perks include 12 months free roadside assistance with every dealer service, and a free loan car. It is a shame that Ford Australia chose not to import a Mondeo model that included satellite navigation and a reversing camera, as these features are standard on most luxury cars of this price range. I personally dislike reversing cameras and prefer parking without them. The parking sensors do the job well and come in handy for reverse parallel parking. Overall, the Ford Mondeo Titanium is a fantastic car for people who do lots of country or highway driving, and those who want a large family car with plenty of space without the high fuel costs that usually accompany. The technology and convenient features of the Mondeo add a level of comfort and luxury not usually seen on cars in this price range, and the European build quality cannot be faulted.